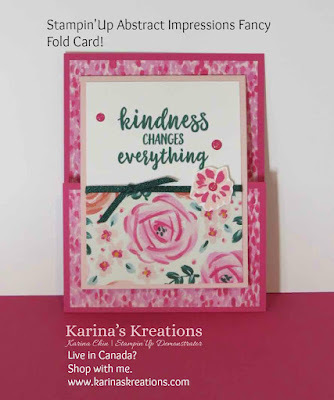 Karina's Kreations: Kylie Bertucci's International Highlights Top Ten Winners Blog Hop! 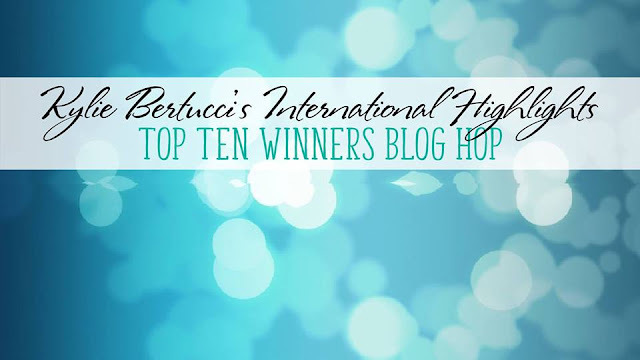 Kylie Bertucci's International Highlights Top Ten Winners Blog Hop! I'm so excited to be a part of Kylie Bertucci's International Top 10 Winner's Blog Hop today. 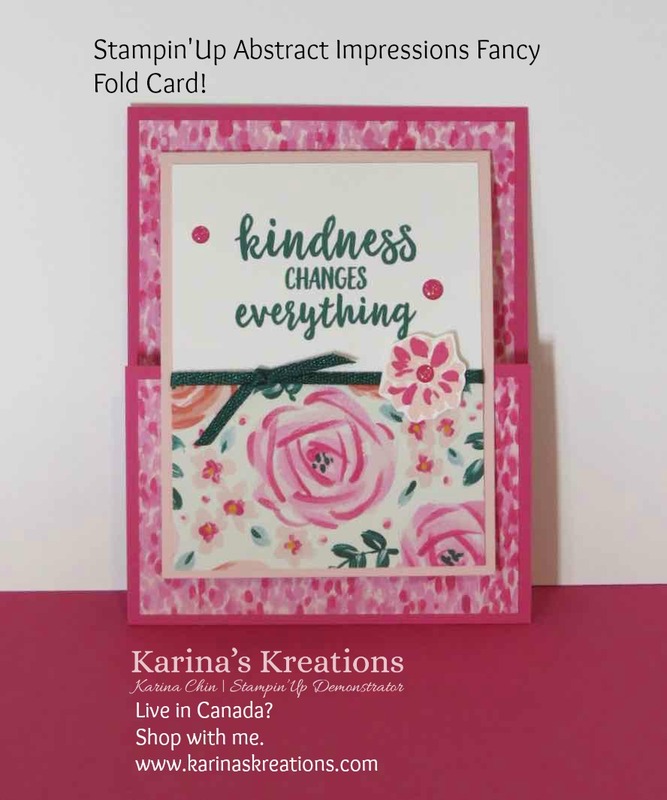 I am a Canadian Stampin'Up demonstrator from Edmonton, Alberta and I want to thank my friends for voting for my card last time. The theme was friendship and this was my card. 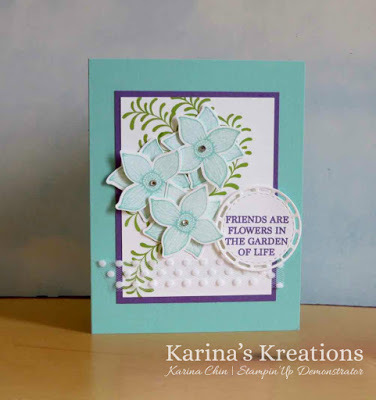 I used the pop of Petals stamp set and matching four-petal flower punch. Click on this link to see my post with tips and tricks for this stamp set. This is the friendship card I designed for you today. 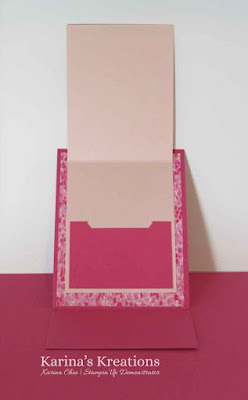 My card uses the new Abstract Impressions stamp set and matching Garden Impressions 6" x 6" Designer series Paper. Designer Series paper is on sale right now. Buy 3 packages and get 1 Free! Melon Mambo 4-1/4" x 8-1/4" scored at 5-1/2" and 2-1/4" x 3-1/4". Powder Pink 3-1/2" x 9" scored at 4-1/2". Designer Series Paper 4" x 5-1/4" , 2-1/2" x 4" and 2" x 3-1/4". Here's a video if you want more directions. 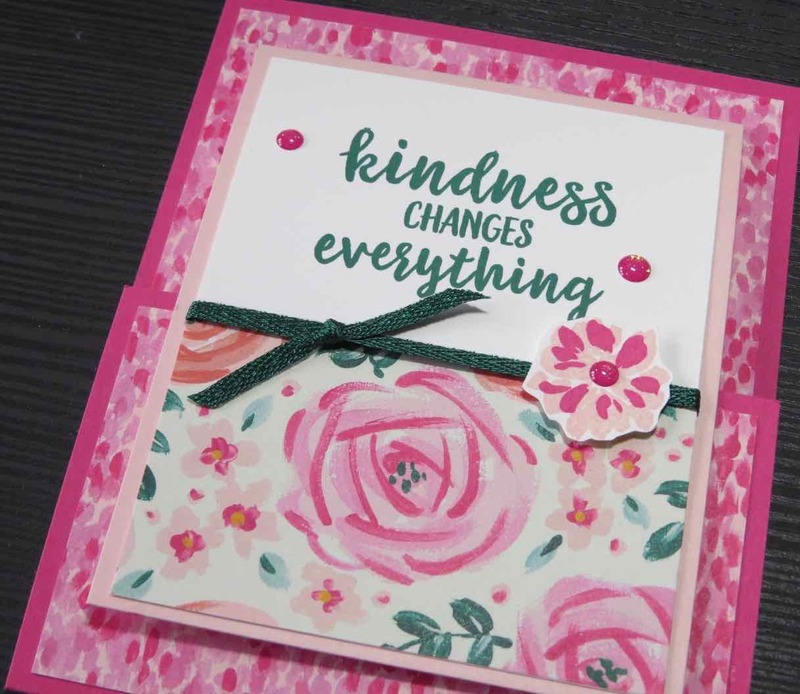 Make sure to check out all the other projects in this blog hop. Click on a picture below to order supplies if you live in Canada.